﻿ If you think that women being grossly marginalised and abused within the entertainment industry is a new thing, you’ve clearly not been paying enough attention. Even away from the advent of #MeToo and the swathes of allegations of misconduct in the film and music industry that has seen so many prominent male figures taken to task, the dearth of equal opportunities remain prominent, particularly in music; just look at the disparity between male and female musicians on festival lineups, or the fact that women are most likely to funnelled towards pop and R&B by the prejudices of other genres. It’s something that Australia’s Camp Cope have taken a staunch stand against, with new album How To Socialise & Make Friends projecting their frustration and indignation at an institution that drastically needs to change. And ultimately, the lyrical side of Camp Cope emphatically proves to be the most successful feature of this album, as with regards to this sort of lo-fi indie-rock, it can border on formulaic a little too much. Rickety guitar lines rattle away and deliberate drumbeats are slightly muffled for an earthier texture, all while a hardscrabble production job adds an extra layer of sepia over proceedings. It’s not particularly novel, and with only slight variations on the same technique across these nine tracks, there’s not much to really dig into from an instrumental perspective; with the exception of Kelly-Dawn Hellmrich’s fantastically nimble basslines that give tracks like The Opener a little more pliability, a good chunk of How To Socialise…‘s instrumentation feels like backing for lyrics rather than comprehensively formed songs. But that does almost feel like the point, in that Camp Cope have a lot that they need to say, and it may be one of the most fearless, brutally honest takedowns of patriarchal inequality put to record in some time, and with Georgia Maq’s retention of her natural Australian accent, the snide jabs and curdling frustration couldn’t feel more real or earned. And all of these grievances circle back to a masculine power dynamic designed to hold her back and keep her controlled, whether that’s mistreatment by former partners on the title track or the goading and gaslighting to return to abusive relationships on UFO Lighter. It’s all underscored by a profound sense of melancholy and desire for just some support, either from a friend on Sagan-Indiana or her late father on I’ve Got You, whose beliefs and worldviews continue to resonate with he. It’s an enormously houghtful listen, and abandoning traditional song structures for pile-ups of verses adds an almost off-the-cuff edge, but the instances where Camp Cope hit their most brilliantly incisive stride are twofold. The first is The Opener, aiming their fire at a music industry that continually puts a cap on what female musicians can achieve, soured even more by cries for diversity by tours of exclusively white, male bands. But easily the best track on this album is The Face Of God if only for now plain-spokenly venomous it is, with Maq tackling the issue of allegations of sexual misconduct towards musicians and how they aren’t taken seriously or just outright ignored, because after all, “[their] music is too good”. It’s most definitely not a perfect album, but with the issues raised and the unflinchingly personal delivery, How To Socialise & Make Friends couldn’t be a more important one. And while there will inevitably be some people for whom it all proves controversial (for some reason), there’s the distinct feeling that Camp Cope don’t care. They’re among the women making a difference, and while this album’s impact is almost exclusively lyrical, they’re indicative of the current change in the entertainment industry, slowly but surely reaching a more equal balance in power. And it’s hard not to see Camp Cope as among the key figures setting the wheels in motion. 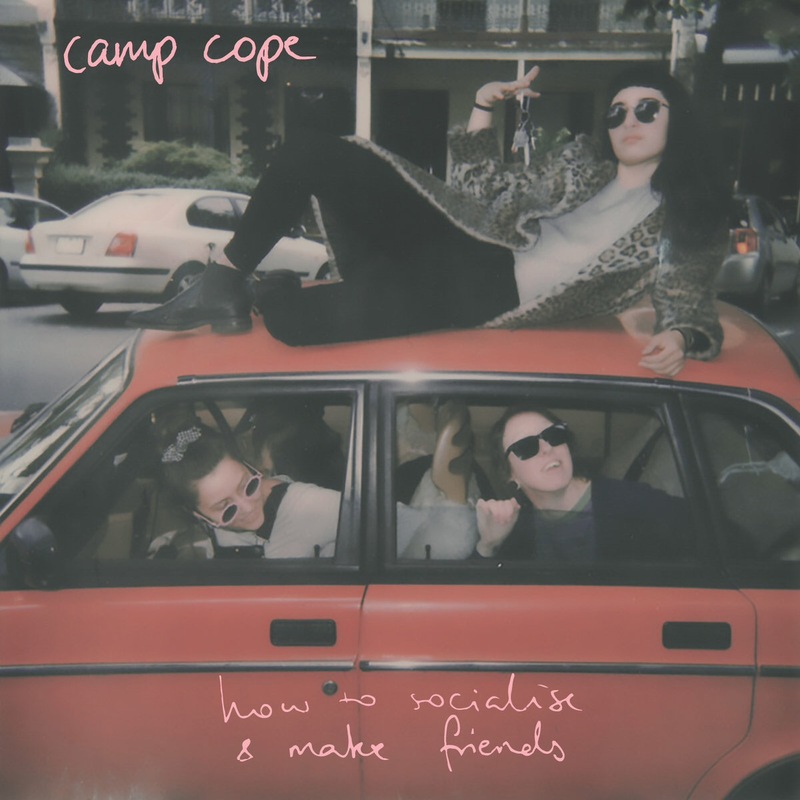 ‘How To Socialise & Make Friends’ by Camp Cope is released on 2nd March on Run For Cover Records.